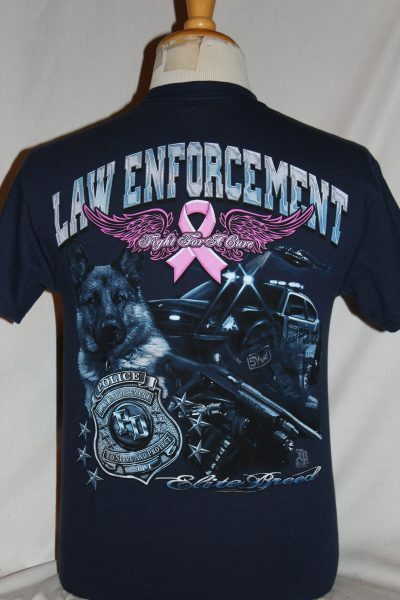 The Law Enforcement Elite Breed Fight For The Cure T-Shirt is a two sided print in dark blue. 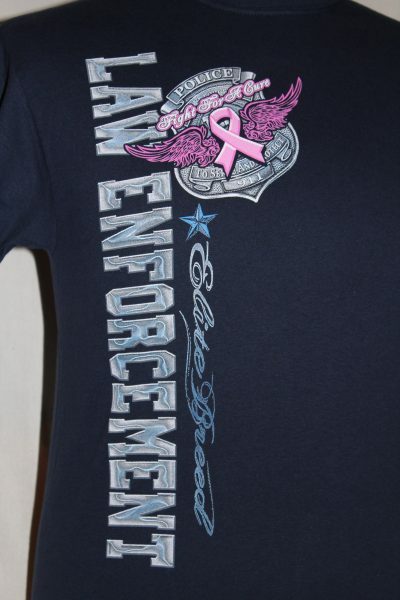 Front Design: Pink ribbon, pink wings, superimposed over police shield. 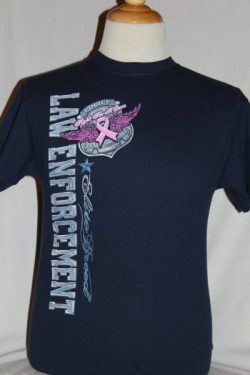 Vertical text screened on right side. 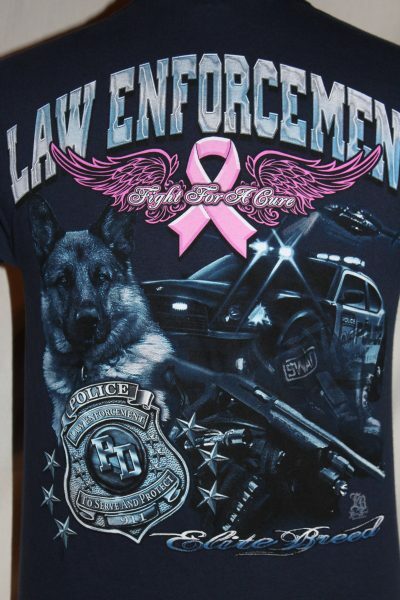 Back Design: Pink Ribbon, Pink Wings, Police Car, Police Weapons, German Shepard, Police Shield, and Elite Breed Fight for the Cure text.